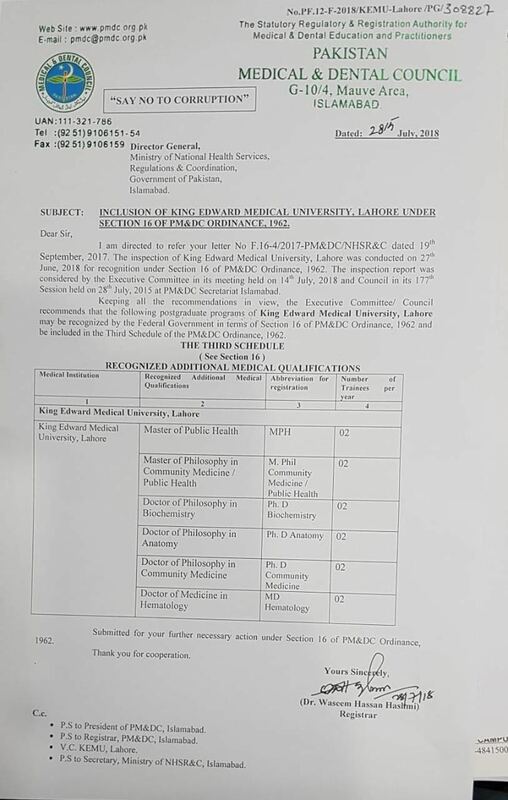 Approval of KEMU Ph.D. Programs in Basic Sciences including Anatomy Biochemistry and Community Medicine. MD Haematology M.Phil. and MPH Community Medicine.